Come watch the EXCITING WORLD SERIES RUGBY Match between YOUR WESTERN FORCE & The HONG KONG DRAGONS. AN EVENT NOT TO BE MISSED. 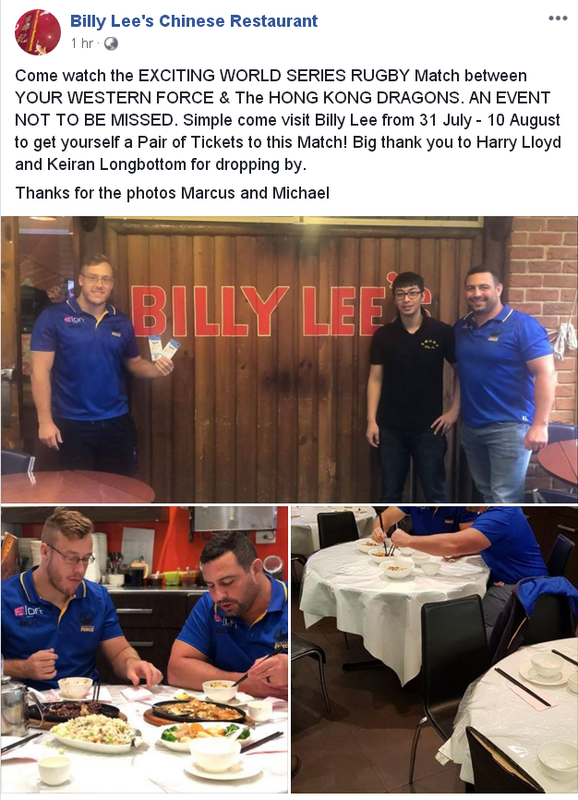 Simple come visit Billy Lee from 31 July - 10 August to get yourself a Pair of Tickets to this Match! Big thank you to Harry Lloyd and Keiran Longbottom for dropping by.